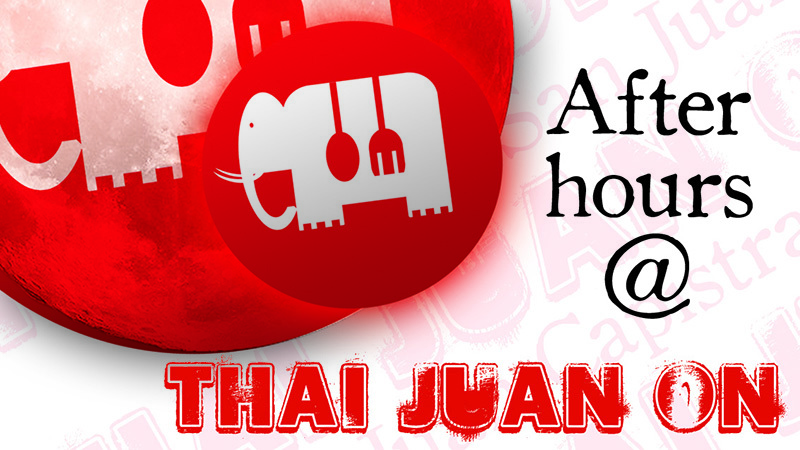 Welcome to Thai Juan On! 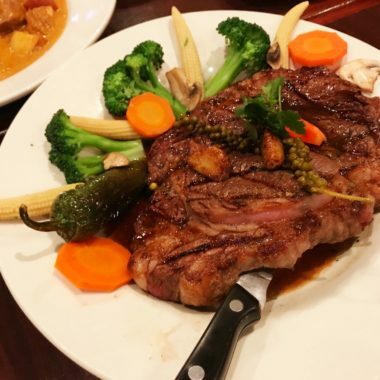 We are a local Thai restaurant to the area serving San Juan Capistrano and the surrounding areas of Dana Point and Capistrano Beach, in Southern Orange County, California. Daily Happy Hour and Thai Thirsty Thursdays! Always check our calendar for upcoming events and specials. We are open to catering and private parties. An 18 oz to 20 oz hand cut (by Chef Jib) boneless rib eye. Cooked to order with jalapeño pepper garlic sauce, surrounded by various steamed vegetables and a scoop of white rice. 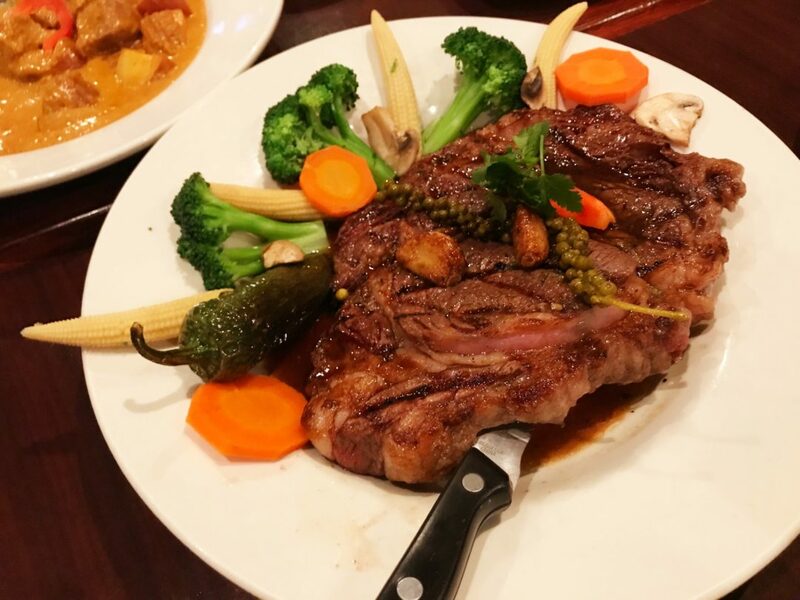 Named after the notorious street in Bangkok, this steak is “notoriously” delicious! We recommend cooked to medium rare. Every Monday from 4 - 10 p.m.
Every Monday, come join us for Happy Hour pricing on our house martinis! Treat yourself to a Cosmopolitan. Go retro with a Perfect Manhattan. 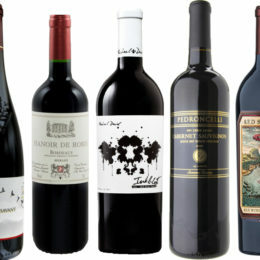 All made with our premium wells. For our fellow waitstaff, cooks, bartenders, mixologists: welcome to Thai Juan On for service industry night. Make sure to let our staff know so we can apply a 25% off food from your bill. We will ask a few questions to verify your place of work, so be prepared! Every Tuesday from 5 - 10 p.m.
Have you heard? We are putting the JUAN in Thai Juan On! Every Tuesday, we have our Taco Tuesday special. “What is that,” you may ask. 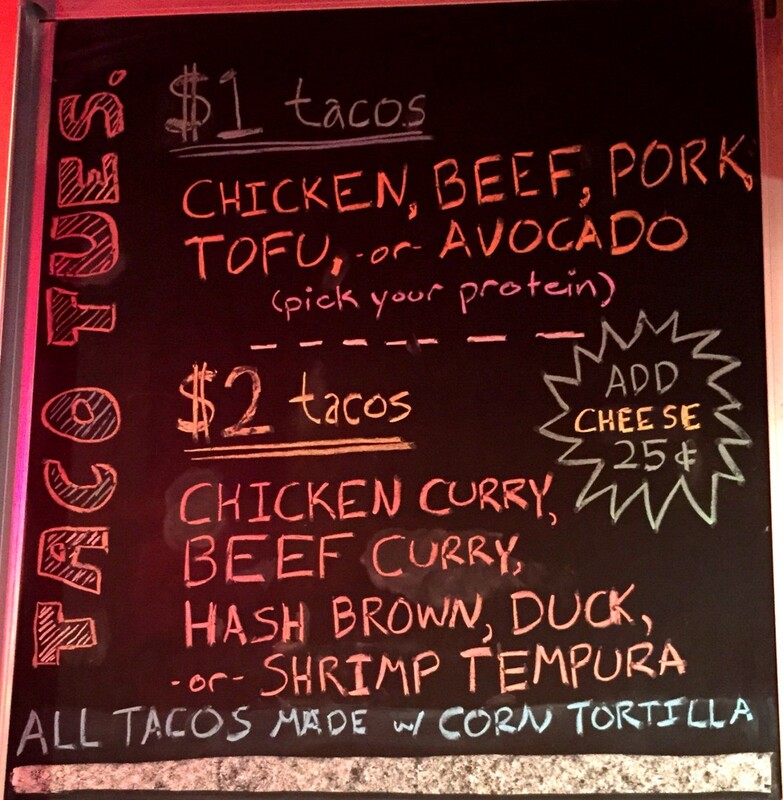 Well, we have $1 and $2 street tacos filled with your choice of meat we have on the chalkboard. Plus cheaper Chang beer too. Only in the bar area. Every Thursday from 4 - 10 p.m.
Half off appetizers and cheaper drinks. Available all throughout the restaurant, dine-in only. 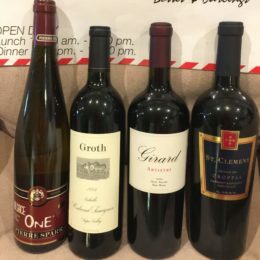 Discounted house wine, tap beer, bottled beer, well drinks and house cocktails! 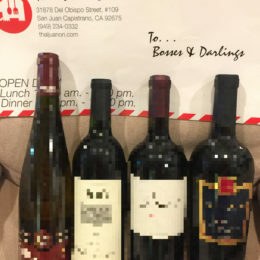 Inquire with your server for more details. Every Friday and Saturday, we have DJs performing: playing EDM, House, Bass, Pop, Hip-Hop and everything in between . We will stay open till at least 11 to 11:30pm, but we can stay open till 1:30am. We have bar sized food options after the main kitchen closes at 10pm. Come check it out, no cover! Most of the times we will have the resident DJs playing, sometimes we have other local DJs on the decks. Take a break from the usual nightlife in San Juan Capistrano and come check out this low-key shin-dig we have every week. Keep your eyes here for updates to this event. Since December 2008, we have been serving San Juan Capistrano with Thai favorites (and some original dishes). 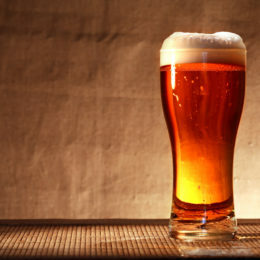 With a decent full bar, we also serve premium liquors and cold imported beers on tap and bottle. We usually send out one newsletter per month.